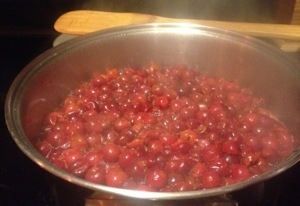 If you have a bountiful wild cherry tree do what our friend Colleen did; share the fruit with friends. She showed up at the studio with bags of cherries. After filling my belly with the tart delicious wild things I wondered what was going to happen with the rest. Colleen told me I could take it all home. I did not ask twice! and took the bag home. This delightful summer gift is what led to me making jam. So I am sharing the recipe with you all. Hope you enjoy it. Yes, this is it, no pectin or any other filler ingredient. Don’t do what I did!! Wash and let the fruit air-dry a little. 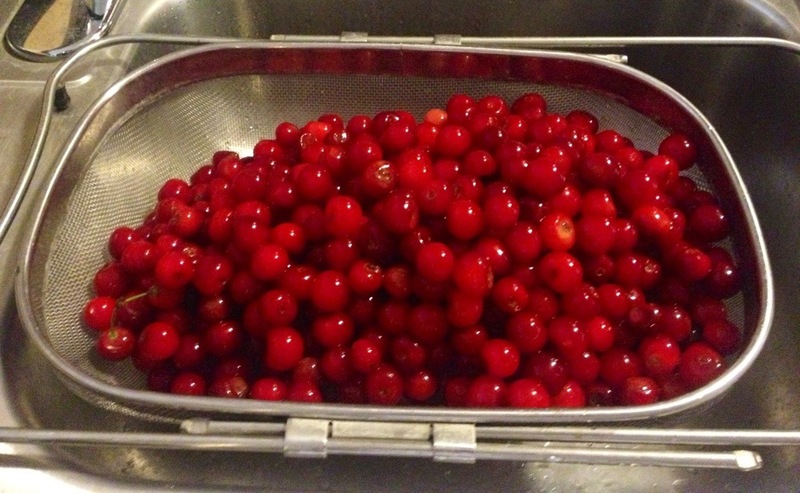 Then take fruit and a cup for the pits to your COUCH so you can comfortably pit the million cherries. I stood for 2 hour at the sink – not quite sure why. 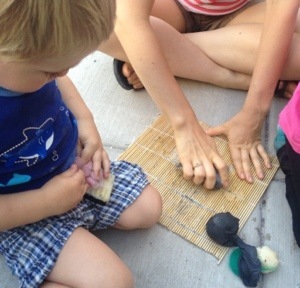 Another good idea is to involve friends or kids in the process – sure to expedite the pitting. And do yourself a favor hand-pit the cherries, trying to use a knife — trust me, not such a good idea. I also recommend wearing an apron, in case the cherry juice splatters your clothing won’t get ruined. 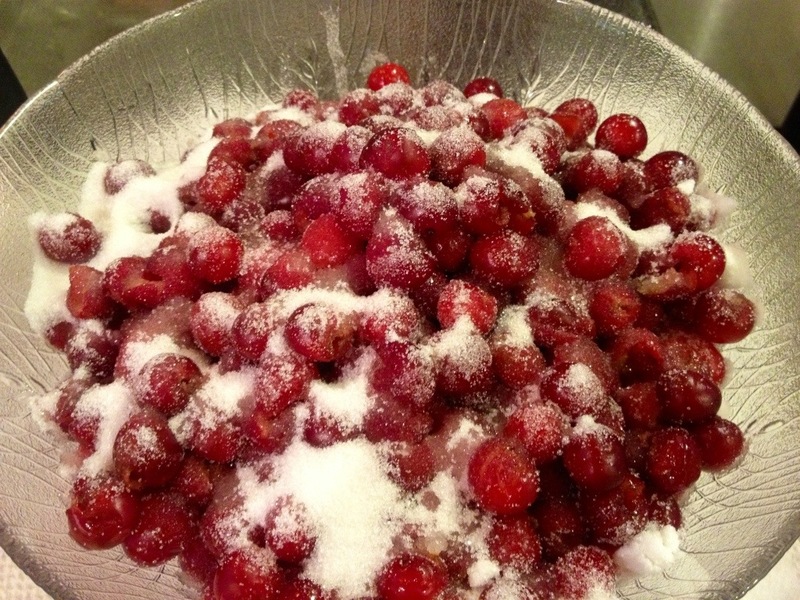 After the pitting is done, add the sugar on the cherries, stir a bit to ensure they are thoroughly coated. If you are wondering why such little sugar… you don’t need more sugar, less sugar keeps the taste and flavor of the fruit come through. Let the mix marinate overnight. Best way is to let it marinate in the sun if you can, otherwise the fridge will do (cover well so other smells don’t taint jam mix. 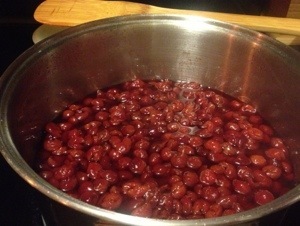 Pour the marinated wild cherries into the pot an put on high heat. Bring to boil, and keep boiling for 10 minutes. 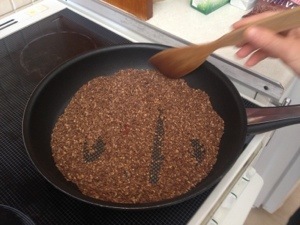 After 10 minutes, reduce the heat to medium and cook for 25 to 30 minutes. 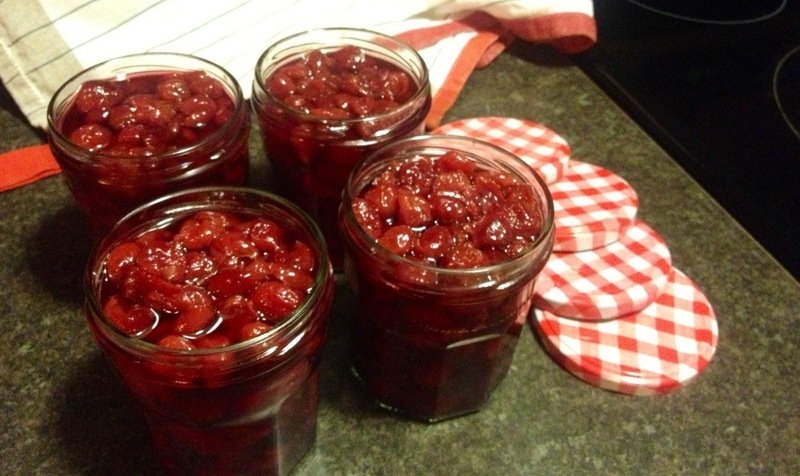 If you see that your jam is too liquid I would go for 30 minutes. How to test the jam? Take a little of the juice and drop it to a plate so you can watch how it flows. The slower it flows the better and that indicates it is ready to be taken off the heat. 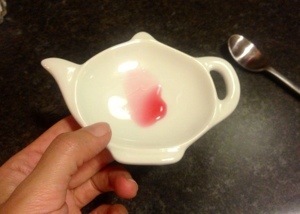 Mine actually turned out to be little more liquid than I like. Keep in mind that timing of how long to boil is a function of how much juice there is. 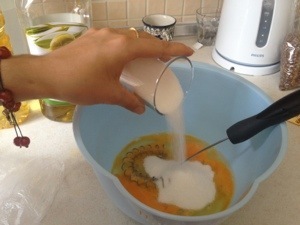 Since there is no thickener in this recipe we use the reduction method. Let the jam cool; enough so there is no steam coming off it anymore. 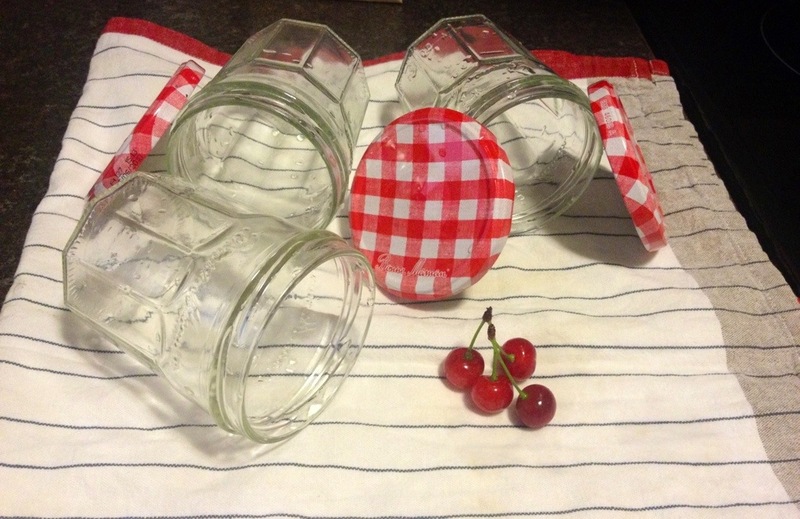 Use a big spoon or ladle to fill up the jars. Make sure to put on the lids tightly. Tip: you can store this in a cool dark cabinet, but if you are having a hot and humid summer like we are I recommend storing them upside down in the fridge. Make this a jamming summer! Thank you Colleen for the wild cherries, you made my day. 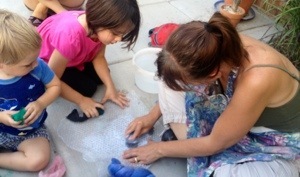 Today I got a chance to see Susan teach a friend’s kids how to make felt soap. I was so fascinated that I decided to share the whole process with you. When you see felt soap it seems so mysterious; can’t help to think how did they stuff that soap in there?! Shred some of the wool and wrap around your piece of soap. Try to wrap all sides evenly. This is the creative part; you can wrap different color wool and make different designs or use a single color. 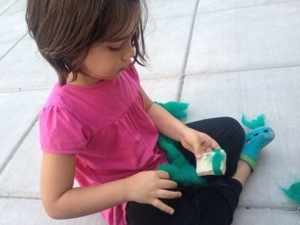 Wet the soap a little and put inside the short stocking carefully so the felt does not move around. Dunk the sock in the bucket. 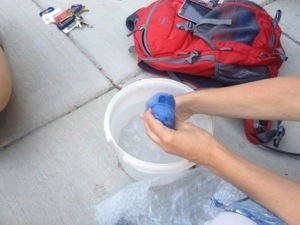 Use the sushi mat or bubble wrap and start rubbing the soap on all sides. 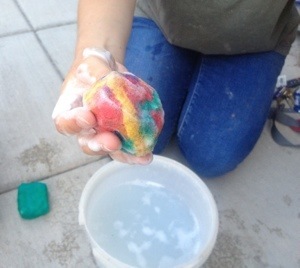 This process adheres the felt to the soap. 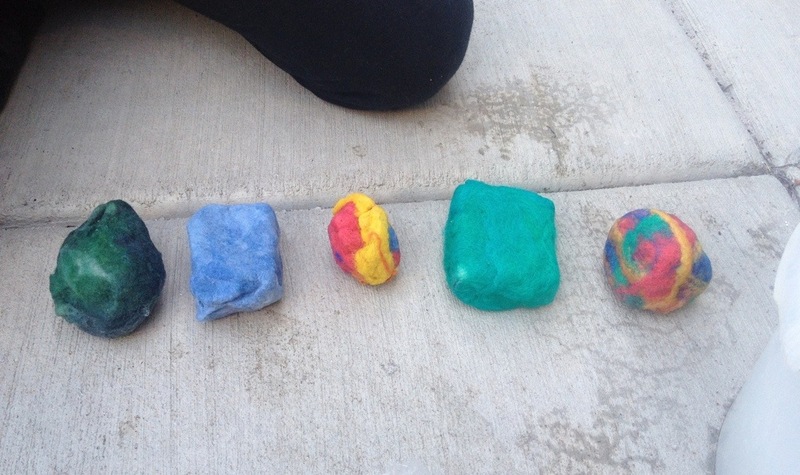 Once the felt is smooth around the entire soap you can stop. Take it out of the sock and give it quick rinse. Leave it on wire or shelf to dry. Hope you decide to try this and make yourself some beautiful soap. It makes great gifts! and great activity for kids. Thank you Susan for teaching us this fun creative craft! Wanted to introduce this simple cookie to you. 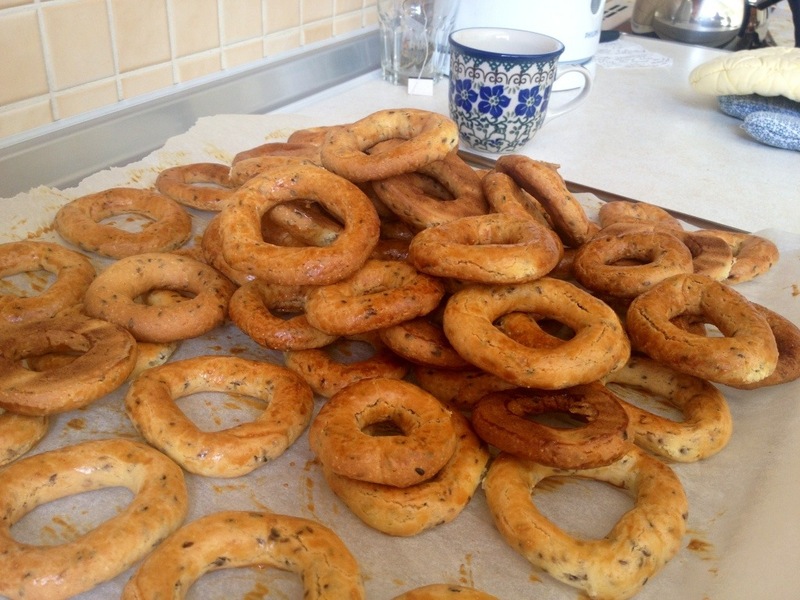 I had it for the first time when I was visiting family in Istanbul last week. The origin of the cookie is from Syria and this maybe an adaptation, since I never had the original I cannot tell. It is light and delicious with coffee or tea. Very used to seeing sesame used in savory cooking and baking, and this is great use of sesame in baking sweets. Dry roasting the unshelled sesame: you can also use shelled ones if you like, but process stays the same. 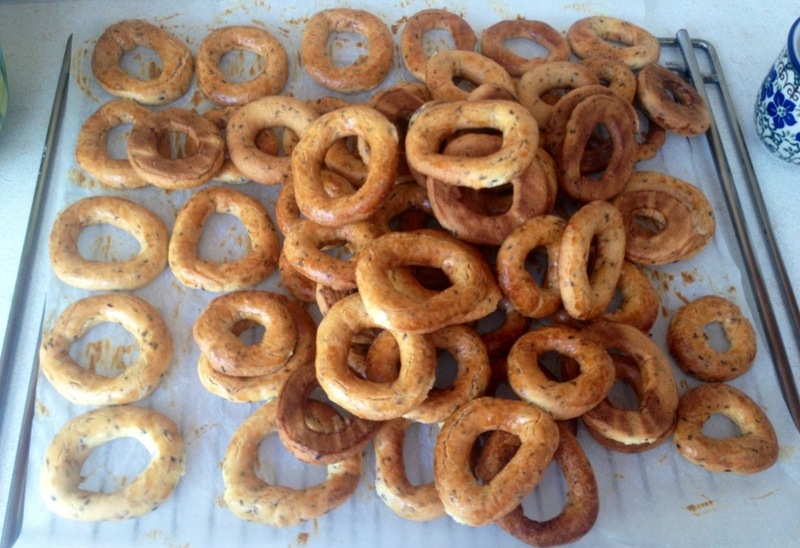 Roast till you smell the sesame (barely 2 minutes or more depending on your stove) – then set aside to cool. 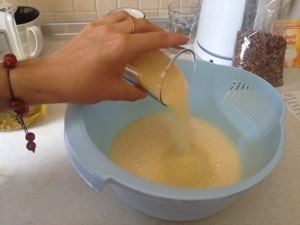 Mix the egg and sugar – whisk well. 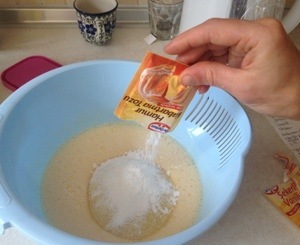 Add the semolina, vanilla, the baking powder, and mix well. Next add the sesame and mix it well. 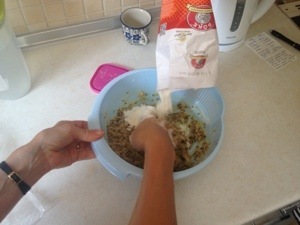 Then start adding the flour slowly and keep checking for firmness. 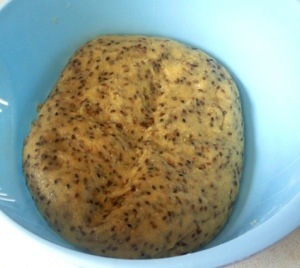 It should not be firmer than your earlobe; stop adding flour when you reach that point. Heat the oven to 400 degrees. Line the baking sheets. 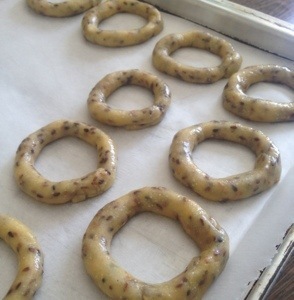 Start forming little circles ‘halka’ and place then on the baking sheets. You can make them large small or any size you like. Optional: brush the tops with eggwash. We did for most but tried a few without and they were just as good. Bake until golden in color; take out and let cool before serving. Hope you enjoy this delicious sesame cookie as much as we do!